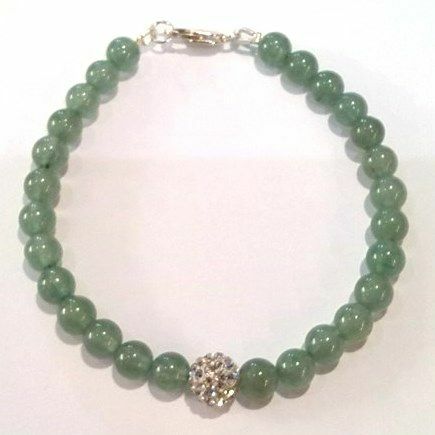 A stylish bracelet of high-quality 6 mm jade beads and a featured 'shamballa' style 8mm rhinestone crystal ball. 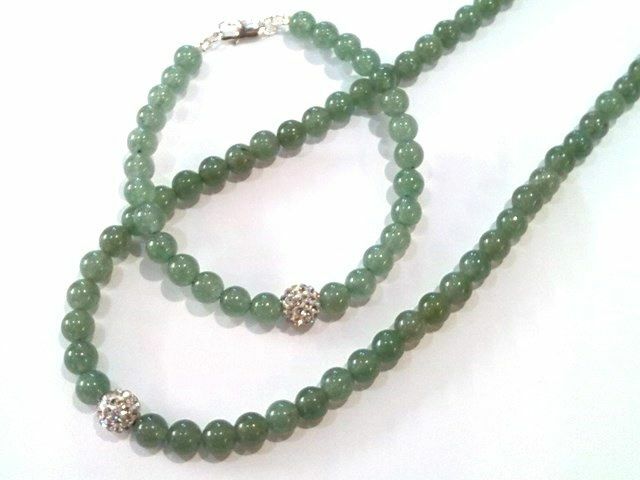 This lovely piece includes a traditional Sterling silver clasp. We'll post this in a cute and practical silky pouch. Please click here to see the matching necklace.